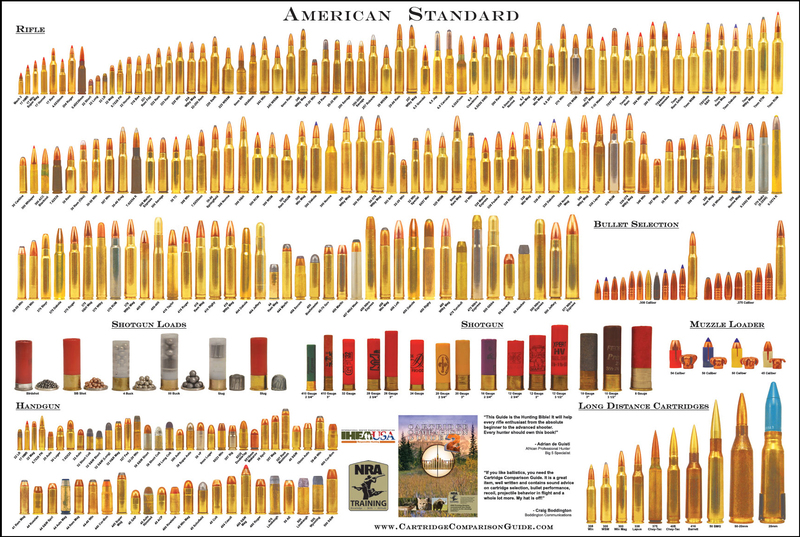 The American Standard bullet poster is full color – 36″ wide and 24″ tall. Images are all actual size (within 4/1000 of an inch). The poster includes all American Standardized Cartridges (Rifle, Handgun, and Shotgun) available January 2012, military surplus and a few bonus cartridges as well. 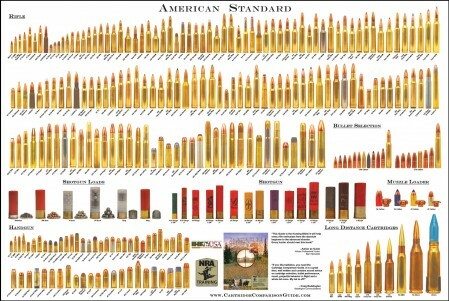 The poster displays 165 unique rifle cartridges, 55 handgun cartridges, and 9 different shotgun gauges.